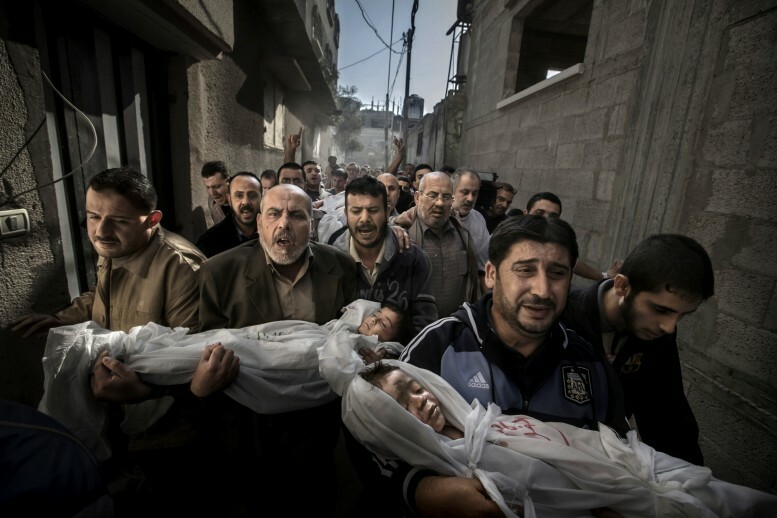 The winners of the 2013 World Press Photo have been announced. The winner of the Photo of the Year is Paul Hansen, a Swedish photographer. Two-year-old Suhaib Hijazi and his older brother Muhammad were killed when their house was destroyed by an Israeli missile strike. Their father Fouad was also killed and their mother was put in intensive care. Fouad’s brothers carry his children to the mosque for the burial ceremony as his body is carried behind on a stretcher. This photo and all photos winning World Press Photo 2013 will be presented from November 1st at the Pulperie de Chicoutimi, Musée régional.